Publications as varied as Wired, Men’s Fitness, and The New Yorker are abuzz over the New York Times bestseller Faster, Higher, Stronger. 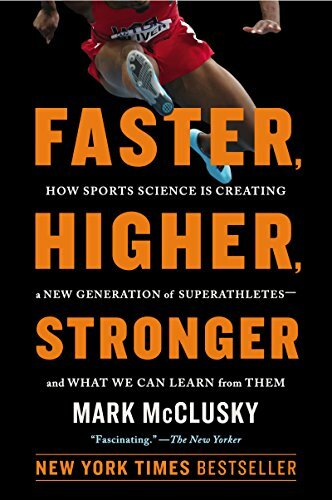 In it, veteran journalist Mark McClusky explains how today’s top athletes are turning to advanced technology and savvy science to improve their performance. Sports buffs and readers of David Epstein and Gretchen Reynolds will want to join McClusky as he goes behind the scenes everywhere from the Olympics to the NBA Finals, from the World Series to the Tour de France, and from high-tech labs to neighborhood gyms to show how athletes at every level can incorporate cutting-edge science into their own workouts.